How important is the role of women in software development? Recently, International Women’s Day was celebrated all over the world. Thinking about this, what is the role of women in the software development industry, and why is it important to have them on your development teams? Read more and find out. Science recognizes that diversity is important to innovation, problem-solving, and creativity, and several researchers suggest that cognitively diverse teams perform better on hard problems. 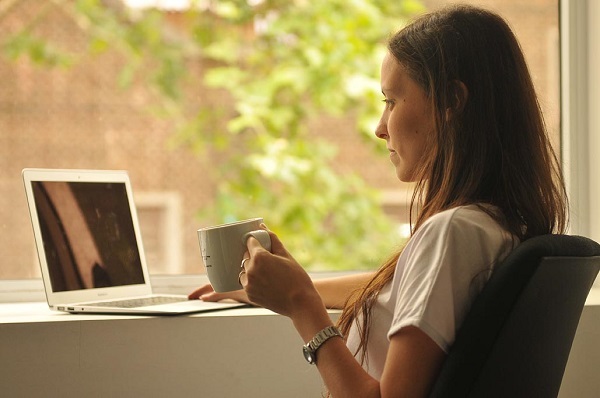 And one more thing… Women might be better coders. In the US market, the National Center for Women & Information Technology (NCWIT) states in its ‘Women in Tech: The Facts’ report that women held 57% of all professional occupations, and only 25% held computing occupations in 2015. Actually, industries outside of technology employ more women software engineers than do the tech industry. These numbers are very close to those delivered by CNET that also show women’s participation in some companies. Fewer women are found in software development, technology leadership, or other kinds of key roles. Actually, in a recent article written by PwC, it is stressed that “a recent study of SEC registrants by PwC’s Governance Insights Center found that less than a quarter of technology companies have women on their boards”. 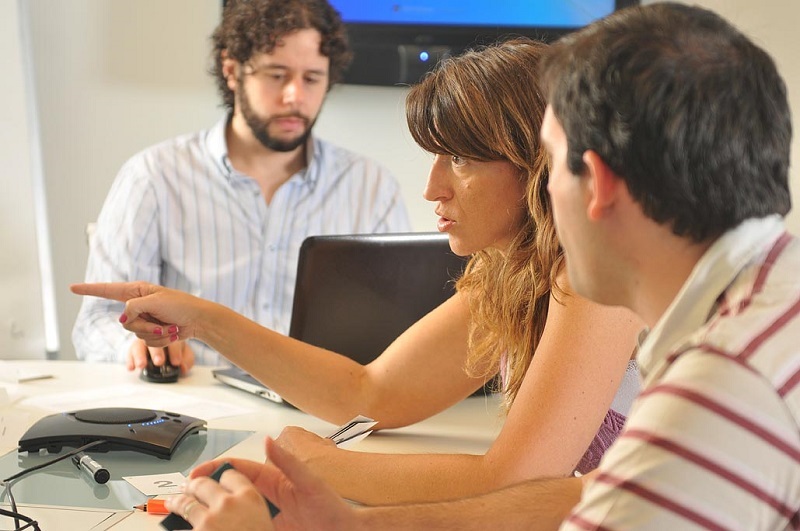 The Sadosky Foundation (SPA) reveals that in Argentina, per year, of the 4,000 graduates of IT related careers in the country, only 18% are women. According to the Ministry of Production, there are more than 13,000 women working in the software industry. In addition to these facts, many surveys show that many people consider software careers as a field exclusive for men. And for what we have said, it currently seems to be true. 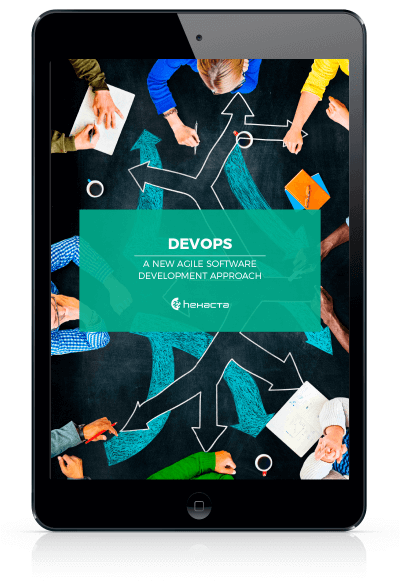 What is promoting this idea about software development? Are men better at it than women? A study shows that they are not. On the contrary, it suggests that women may actually be more competent than men. The report analyzes approximately 3 million pull requests in GitHub, a repository of code used by over 12 million people worldwide and where developers share code and collaborate on others’ projects. 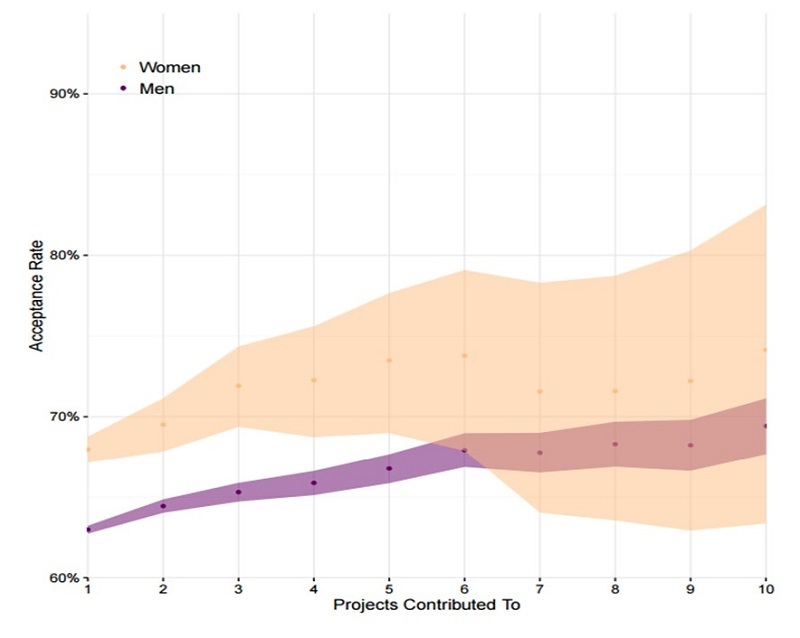 The study breaks down whether pull requests – a way to hold suggested improvements or solutions to problems on someone else’s project – are being accepted or not, and the output reveals that code written by women was approved at a higher rate (78.7%) than code written by men (74.6%). Researchers have dug into details to establish that the pattern also remains when the focus is moved to a specific programming language, the amount of submitted code, or the diversity of projects. 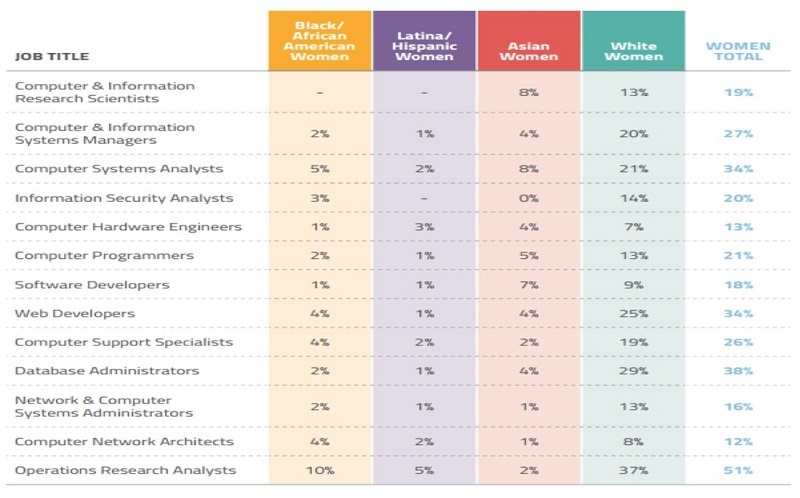 In summary, code written by women stands out at almost every analyzed dimension. So… If women perform better than men at this discipline, why aren’t they joining the software community as much as would be expected? Why does the role of women in the software development industry remain so low? The answer might be, among other things, because of software development community bias that leave women in an unfavorable position. While biases have been documented in a variety of studies at many IT communities, what researchers have found in the software community is disturbing. Trying to understand the way that gender bias, or reverse bias (the bias that a community might hold to encourage minorities), plays out in the above results. They found that work done by women was more likely to be accepted than work done by men but only when their gender was not identifiable. As shocking as it sounds, when the profiles made it clear that they were female the acceptance rate dropped in relation to men. So, although women may be more competent overall, bias against them exists nonetheless. And because of this, the software community may be unhanding some of the most talented people. To mitigate the situation and begin elevating the role of women in the software development industry, start fighting these biases and promote a more open-minded community, as well as strongly encourage companies to make hiring women a priority. How? To start, by simply saying that your company values diversity is not enough. There is no reason for an outside observer to believe you if they see a scarcity of women in the organization. To revert such a situation, you need to understand women. Studies demonstrate that women tend to be conservative about switching jobs, especially if they have had a negative experience in the past with an employer. To attract them, you need to demonstrate why your company is a Great Place to Work, and in particular a great place for a woman to work. 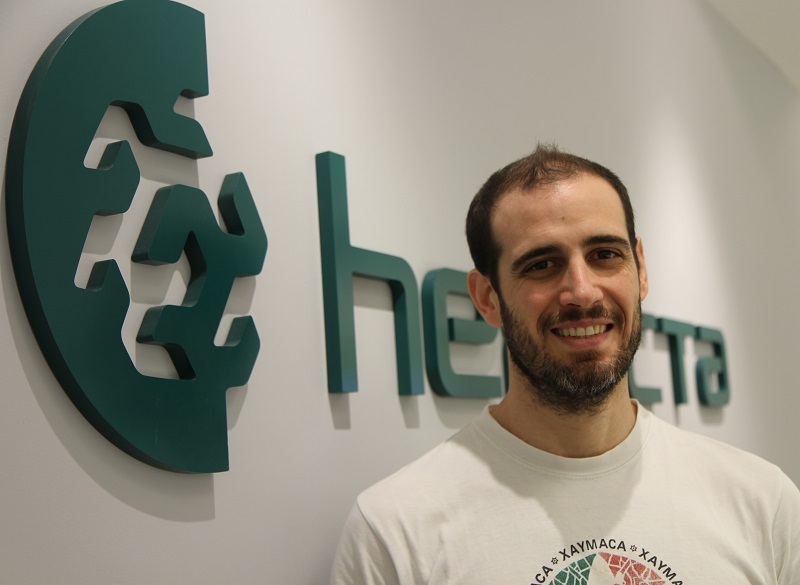 (Read more: Hexacta: The best software company to work in Argentina). Because of women tending to stay out of engineering careers, it can be hard to hire women engineers. In this aspect, lowering standards for them will be counterproductive because it will reinforce the impression that women are not good at engineering, which is obviously wrong. A nice idea is to add junior women engineers to your company in order to train and raise them in the software development and IT career. This will also set up a better context for other women to feel comfortable working in your company. The role of women in the software development is significantly lower than the role of men. This means companies have great potential to grow in quantity and quality if they work to add women to their staff. Increasing diversity will bring new talent to your company and enhance a team’s productivity, and at the same time it will expand your recruiting options, which is a valuable thing in a market as competitive as software.